This spring I've been re-watching the classics. While I spend quite a bit of my time following new shows--Mad Men, Justified, and Glee among many others--I also appreciate that Christmas is about tradition which means returning again and again to the holiday episodes of the past. 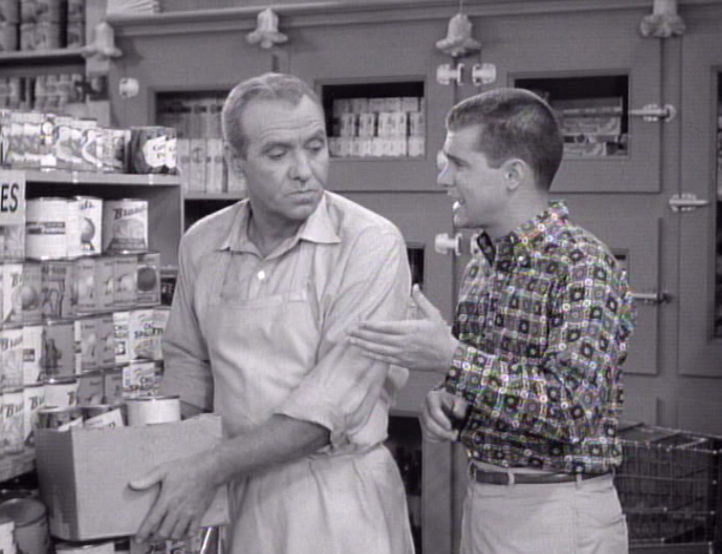 Which classic TV Christmas episodes do you find meaningful enough that you watch them year after year? 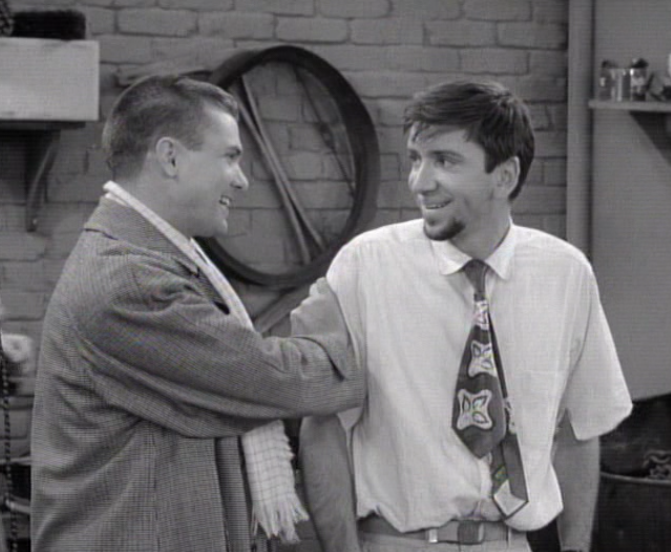 The exaggerated, teen comedy series The Many Loves of Dobie Gillis created several Christmas episodes, however the second season's "Jangle Bells" is the one that stands out to me. You should know by now that I'm drawn to TV adaptations of Charles Dickens' A Christmas Carol. 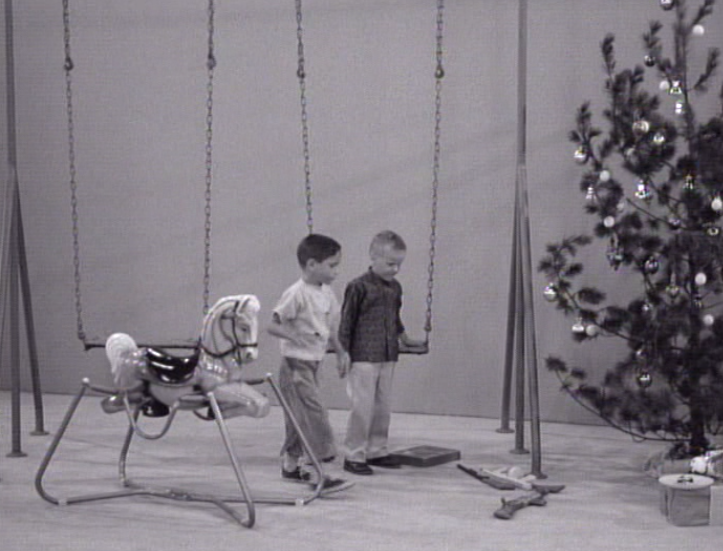 How well do you remember this classic Christmas episode? School teacher Mr. Pomfritt (William Schallert, center) narrates the classroom production of Dickens' A Christmas Carol. 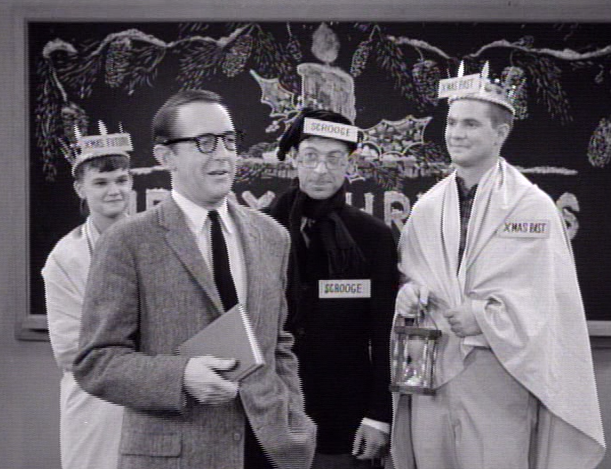 Zelda plays the Ghost of Christmas Future (Sheila James, left), Dobie plays the Ghost of Christmas Past (Dwayne Hickman, right), and Chatsworth plays Scrooge (Stephen Franken, middle). In this episode, Dobie is invited to two parties on Christmas Eve. 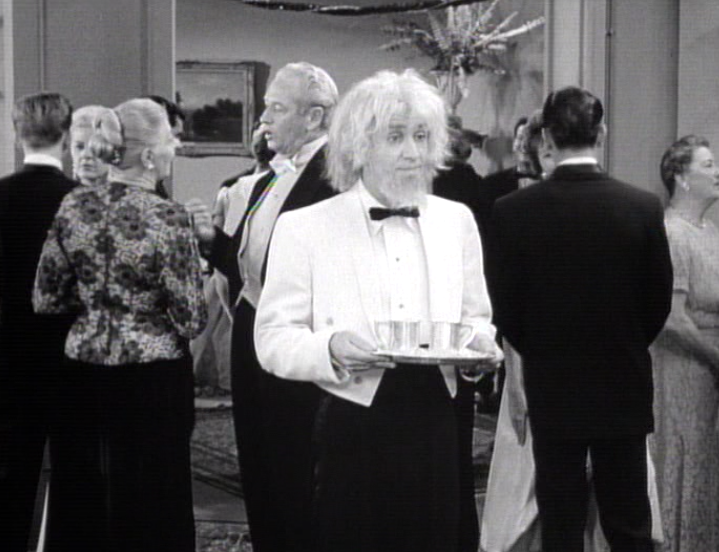 The confused teen is torn between making influential connections at the extravagant, luxurious party hosted by the wealthy Chatsworth Osborne Jr. or supporting his kooky friend Maynard and attending his party, one with far fewer guests in a less-than-luxurious garage. Mr. Gillis' advice consists of empty cliches and conflicting aphorisms. What's a boy to do? 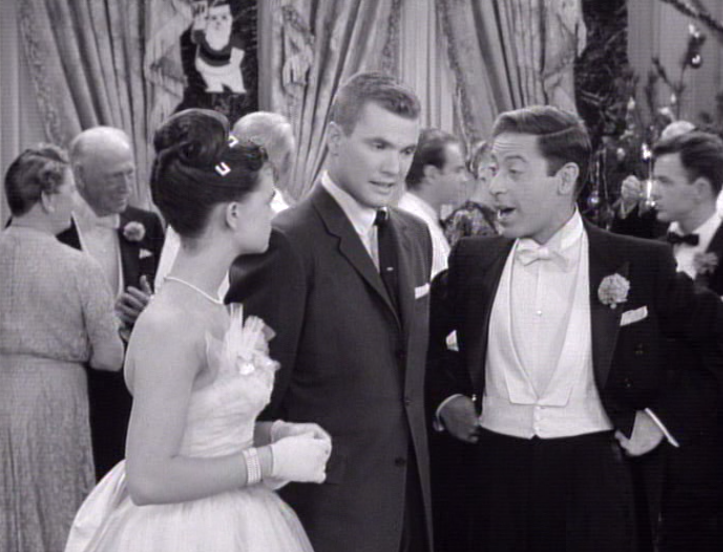 Dobie’s father offers no helpful advice and Zelda pressures Dobie into thinking he needs to focus on planning for his future with Chatsworth’s crowd. Feeling overwhelmed, Dobie lays down to rest and has a dream where he is Dobie Scrooge visited by the ghosts of Christmas past and future (both played by Maynard). 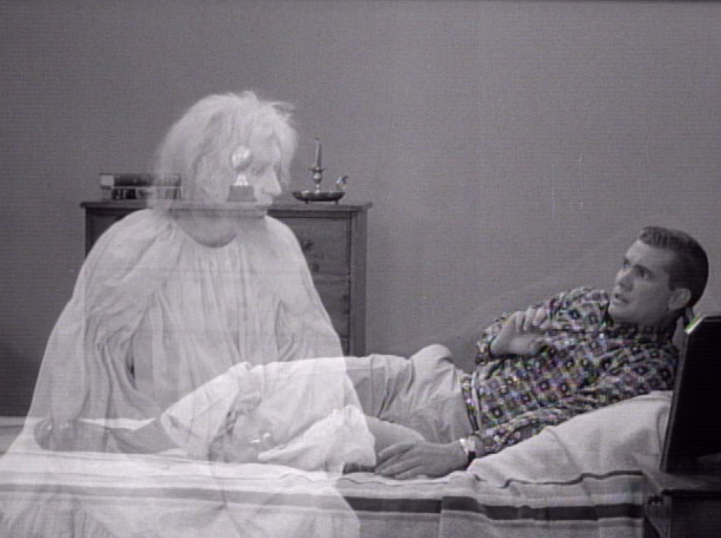 The Ghost of Christmas Past visits with Dobie. The ghost shows Dobie Scrooge a scene from his past when he and Maynard were four years old. Dobie once again sees how much his odd friend Maynard needs him. Dobie also sees a future where he and Zelda are married and wealthy. 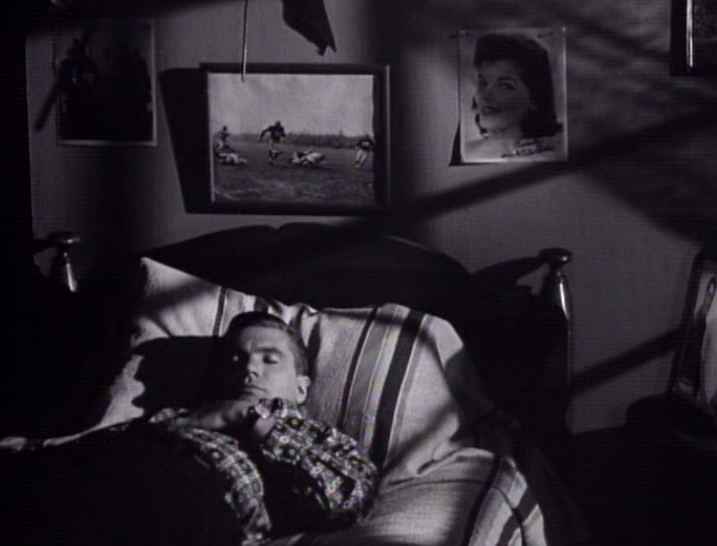 However, the future also reveals that when a hungry waif resembling Maynard comes to the window, Dobie will send his butler to chase the urchin away. Dobie awakens from his dream but the teen remains confused about what he should do. Since Zelda is expecting him, Dobie escorts her to Chatsworth's party where they are served caviar and champagne. Friends Zelda and Chatsworth are convinced they know what's best for Dobie. Everywhere he looks at the Osborne family party, Dobie sees the Ghost of Christmas (Maynard). Though Zelda is eager for Dobie to rub elbows with the powerful and influential people at the party, Dobie is miserable. Finally, Dobie announces that he's leaving the Osborne party because his best friend Maynard needs him tonight. Poor Maynard waits all night but it looks like no one is coming to his Christmas party. That is, until his best friend Dobie finally shows up. 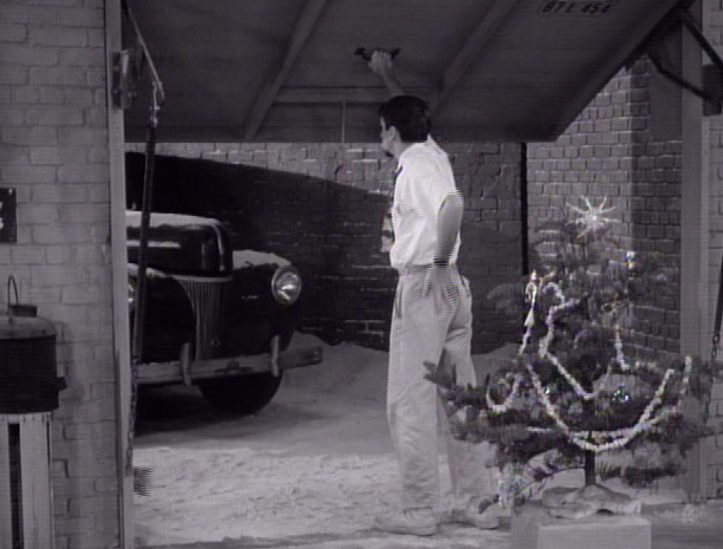 Sure enough, back at Maynard's garage, the dizzy beatnik is spending Christmas alone. 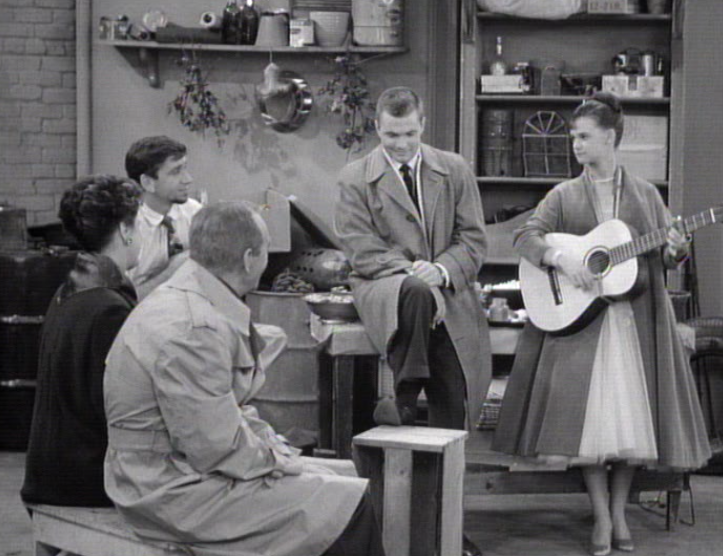 When Dobie finally arrives, he brings with him his parents and Zelda--and the party gets into full swing when Dobie begins singing the non-holiday song "Love Me As I Love You." (If you know more about this song, I'd love to hear it). 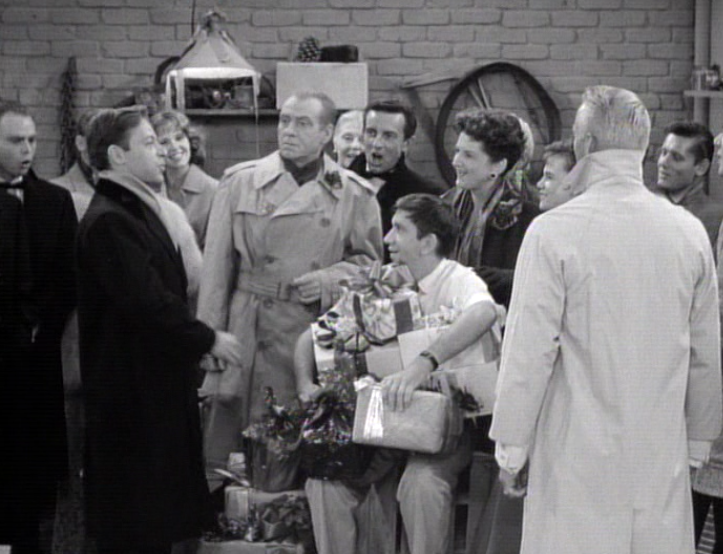 Eventually carolers join the party in the garage--it's Chatworth and his party guests come to share Christmas with Maynard as well. A party needs entertainment so Dobie sings while Zelda accompanies him on guitar. Inspired by Dobie's explanation at Chatsworth's gathering about friendship, the party moves to Maynard's garage. 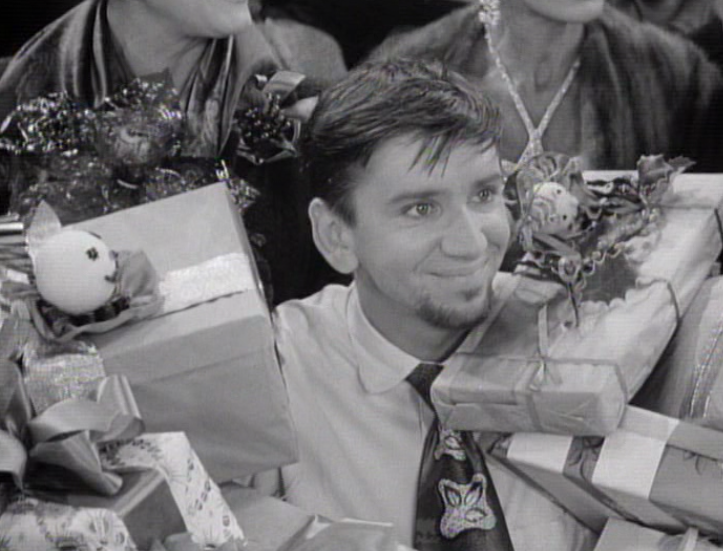 Who doesn't love a happy beatnik at Christmas? This comedy episode certainly takes great liberties in its interpretation of Dickens' literary tale. But that's okay--television has a long history of borrowing A Christmas Carol and adapting it to fit the ever-changing medium. Before any of you traditionalists forget: television is also responsible for the faithful, critically-acclaimed 1984 George C. Scott movie, as well as keeping the successful theatrical versions (1999's Patrick Stewart movie and 2004's Kelsey Grammer musical version) alive and available for a wider audience too. I think there's room enough at Christmas for faithful adaptations as well as the highly-interpreted, way-out comedy versions too--even children's versions. I see it as part of the humanity inherent in Dickens' original words. People are continually drawn towards what remains truthful and authentic in the original text and they look forward to reconnecting with it (and themselves) each holiday season in a very wide variety of ways including comedy, high drama, and even as parody. 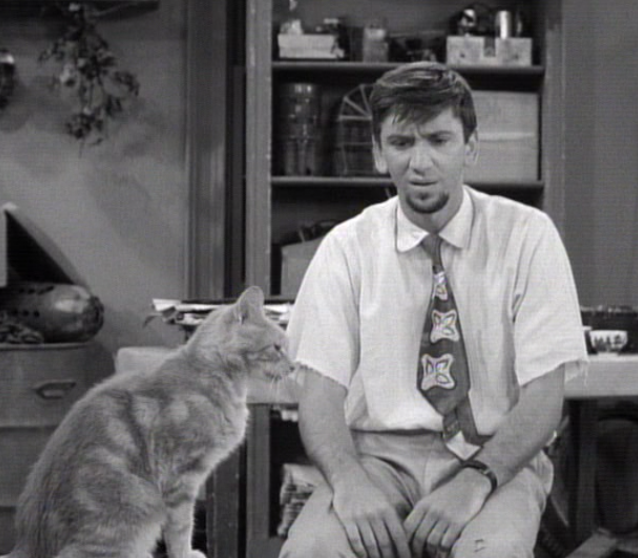 Remember another TV Christmas with Bob Denver? 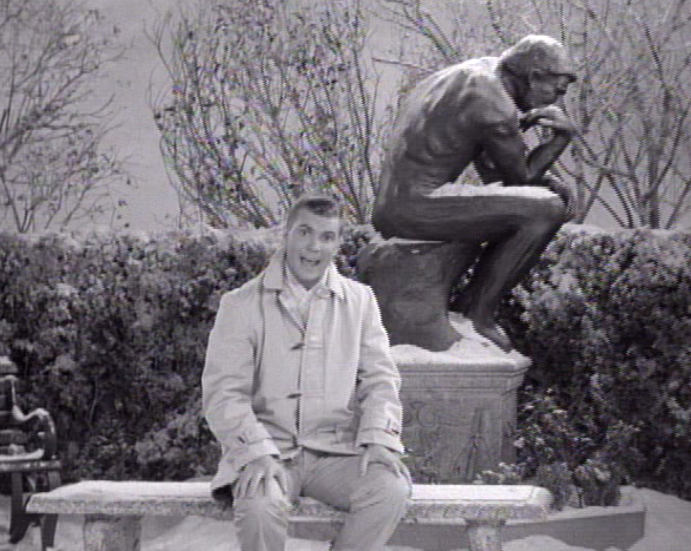 Click the link to re-visit my review of the 1964 Gilligan's Island Christmas episode. 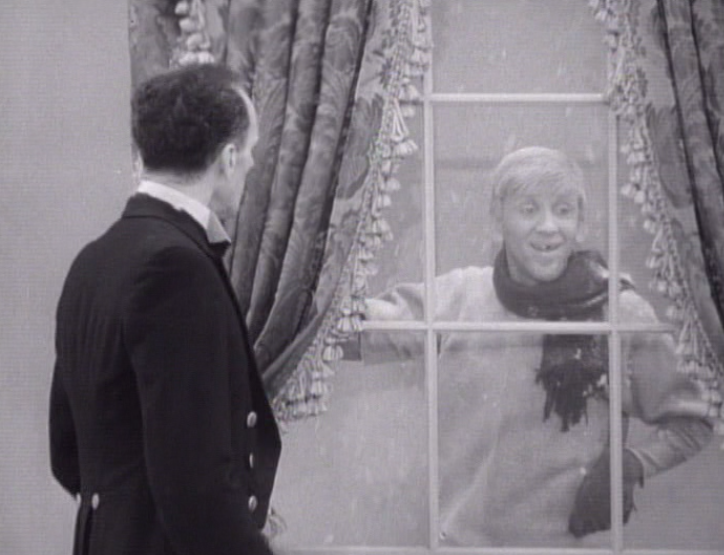 I love the Christmas episodes that use the "A Christmas Carol" theme. We can learn much about ourselves by examining our pasts. It's timeless.